Employers: How does your company look to job seekers? An organization's brand is its identity, a representation of its mission and values. In today's age, branding has become essential to how companies of all industries operate. However, a business's brand does not only refer to how it presents itself to customers in advertising, but also how it appeals to job seekers. Indeed, branding has become as foundational to recruiting as it has to marketing. While an employer's brand may be intimately tied to its overall public persona, companies can still forge distinct identities as a workplace when competing for talent. Consider how tech giants like Facebook and Google are perceived: Their forward-thinking business concepts have all but defined modern culture, while their employer brands have done the same. Now, when job seekers think of a modern (often technology-focused) company in tune with the trends of today's workforce, they think of offices with amenities, greater employee autonomy and perks. The reality is, however, that not every company fits with that image. But that's what makes employer branding so important: Your brand is what you make it to be. If your small company preaches community and dedication, those are the qualities your brand should convey. In any case, businesses should consider how they look to job seekers in order to not only attract top talent, but also bring in individuals who will invest in the company's culture. 28 percent decrease in organizational turnover. 50 percent reduction in cost-to-hire. 50 percent increase in qualified applicants. Employer branding is also highly important to both sides of the hiring equation: 72 percent of recruiting leaders said it had a significant impact, and 75 percent of job seekers said they consider a brand before applying, according to LinkedIn. It's not a matter of if a company should pursue branding, but how it does so. "We depend on our branding to give us a strategic advantage," comments Caitlin Antosz, Marketing Manager for Beacon Hill Staffing Group. "For example, the launch of our internal hiring initiative, BH Careers, has had a significant effect on our hiring success. We really dedicated ourselves to creating a strong presence that would coexist with our Corporate Recruiting team's voice, and help spread the word on who we are and what it's like to work here. Now, due to those efforts, the Corporate Recruiting team accounts for virtually half our new hires." Employer branding delivers key benefits to companies. 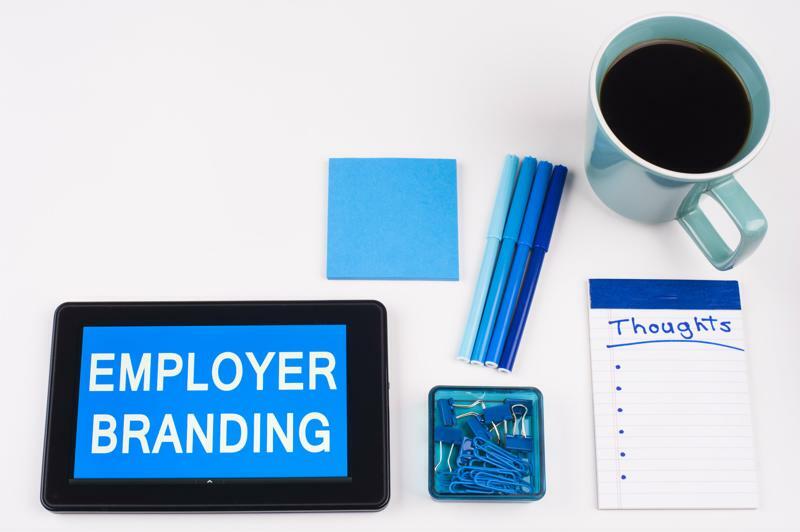 "Your employer brand should express your employee value proposition so future and current employees can understand how working for you could grow their career and have a positive impact on their life," she said in an ADP article hosted by Forbes. How you help employees outside of work: Savings and retirement accounts, as well as offerings like pet or life insurance, may be opportunities to play up to entice job seekers. How you act on company values: Because many of today's workers value fulfillment even above salary, they expect their employers to act in similar ways, like following through on promises to be green or more inclusive. These are critical elements of an employer branding strategy. If your company is looking for more help in hiring in order to concentrate resources on building up or refining an employer brand, contact the staffing professionals at Beacon Hill Staffing who are ready to lend expert assistance.